A sturdy black nylon dog leash that perfectly fits the Curli harnesses, available in different sizes. 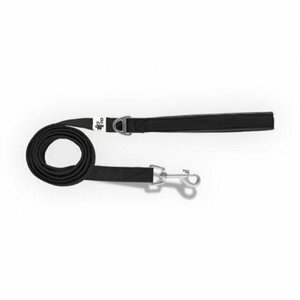 This black dog leash is made of Swiss quality nylon. The handle is softly padded and has under the handle a handy lightweight eye to possibly attach a poo bags. The leash features a sturdy carabiner. This dog leash fits perfectly with the Curli Dog Harnesses.